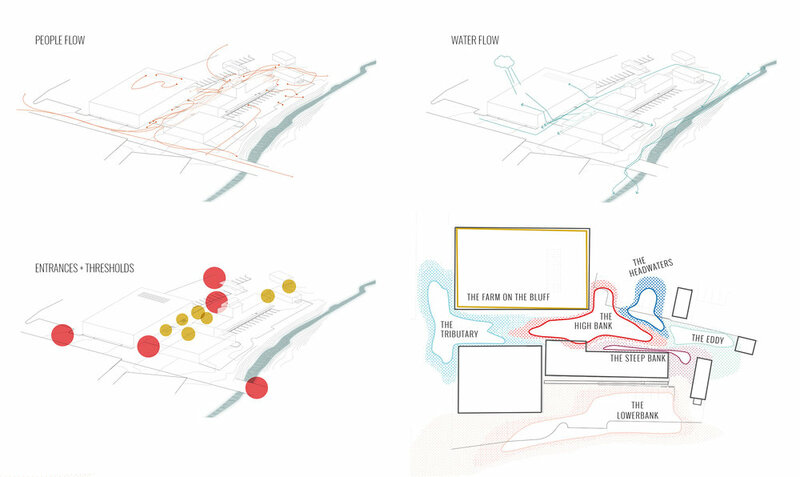 This vision plan considered how a formerly industrial creekside site might be redeveloped in a way that integrates ecological processes into the social infrastructure of the redeveloped spaces. Aesthetically, riparian urbanism signals a juxtaposition between industrial, built structures and the soft, flowing quality of a waterfront landscape. The buildings reflect the cultural history of the site and its industrial uses, while the landscape becomes an ecological space, offering the opportunity to rethink a civic landscape as regenerative and productive. 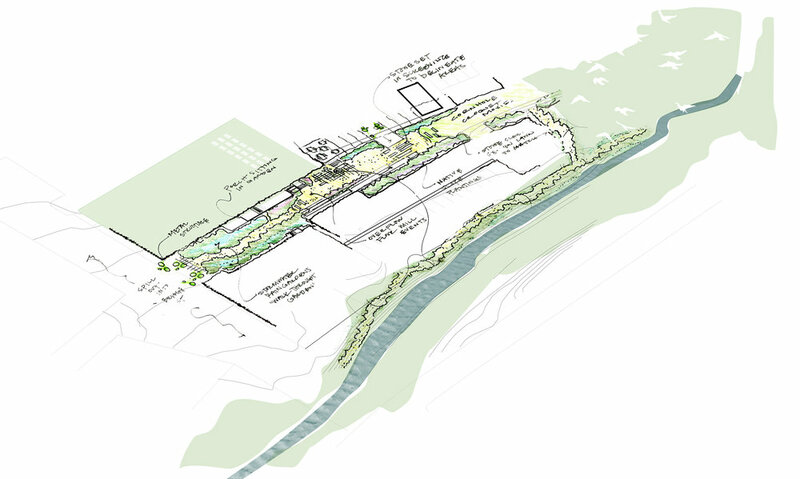 Values that this new development can embody include dynamic ecological process valued over static end product; phased implementation to allow for experimentation and ecological emergence ; local and native species to bring ecological balance to the site and to speak to the natural history of the site.